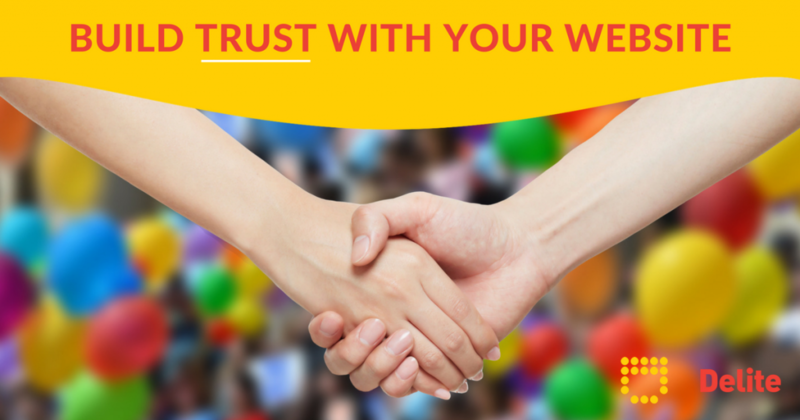 It’s important that when visitors are on your website they instantly feel trust. You should remember that the Internet can be a scary place and there are people waiting to abuse the trust of the everyday ‘user’. You know that your website reflects your businesses values and integrity but how can others be so sure? With this in mind, it’s time to re-evaluate whether or not your website is giving the impression of trustworthiness. We’re not talking big things; it really can be the little things that can make users doubt your legitimacy. Nothing says unprofessional like a website littered with spelling or grammatical mistakes. Now we’re not saying that your literacy abilities determine the service that you offer but if you don’t take pride in what is essentially showcasing your business, how can you expect others to think you’ll take pride in the job they give you. Sharing your best customer reviews on your own website lets you put your best foot forward and makes it easy for your sites visitors to find out about real customer experiences. See our recent article ‘Client testimonials on a website: are they worth it?’ to find out more about these in greater detail. Just like with client testimonials, case studies allow your website visitors to see something of substance that they themselves can research further should they wish. This works especially well if you are b2b (business-to-business) as you may come across as more reputable and trust-worthy simply by association of the client you’ve worked for. Many website visitors find it reassuring if you include social media links on your website – especially if they click through to these channels and see that you’re active and communicating with your audience. You can always go one step further and include a Facebook / Twitter feed in your websites footer. Displaying your telephone number and contact email address across all pages also helps to build the trust factor. This could be in the header, sidebar or footer. Feel like we’ve missed any? Let us know via our social media channels! Begin your journey to a painless, deliteful website experience. Enter your name and email and we will get your story started. One of our deliteful team members will give you a 15-20 minute phone call to run you through our demo on your chosen day / time this week. Then if you are happy to proceed we can sign you up there and then or at a time that suits you.